Dr. Adrian Camilleri is a consumer psychologist who holds a bachelor’s degree in psychology, a Master’s degree in organizational psychology, and a PhD in cognitive psychology, all from the University of New South Wales’s School of Psychology. He completed postdoctoral training in marketing and organizational behaviour at Duke University’s Fuqua School of Business. Currently, he is a senior lecturer in consumer psychology at the University of Technology Sydney’s Business School. 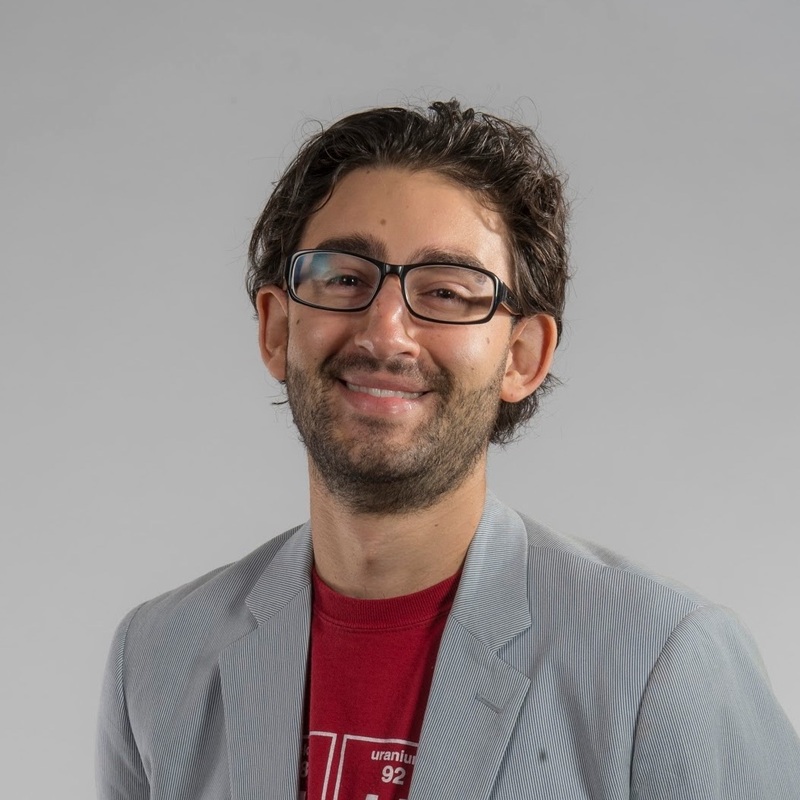 Dr. Camilleri uses experimental and survey research methods to understand the cognitive processes underling judgment and decision-making, and the application of this knowledge to organizational, financial, and consumption contexts. He is an expert in behavioural economics and behavioural decision theory. His research has been published in top academic journals in the fields of psychology, management, marketing, and public policy including Management Science. His work has also been written up in the media including Time and Scientific American articles. 2013-2014: Awarded the Alcoa Foundation Fellowship from the American Australian Association. 2012: Awarded an Endeavour Research Fellowship from the Australian Government. 2015: Awarded an Academic Research Grant from the Australian Centre for Financial Studies with R. Hoffmann, M. Cam, and M. Tan. 2015: Awarded a travel scholarship from the Ian Potter Foundation. Judgment and decision making; behavioural economics, choice architecture; choice under uncertainty; word-of-mouth; goals; sustainability; incentives. Consumer behaviour; market research; business statistics. © 2017 INFORMS. Every attribute can be expressed in multiple ways. For example, car fuel economy can be expressed as fuel efficiency ("miles per gallon"), fuel cost in dollars, or tons of greenhouse gases emitted. Each expression, or "translation," highlights a different aspect of the same attribute. We describe a new mechanism whereby translated attributes can serve as decision "signposts" because they (1) activate otherwise dormant objectives, such as proenvironmental values and goals, and (2) direct the person toward the option that best achieves the activated objective. Across three experiments, we provide evidence for the occurrence of such signpost effects as well as the underlying psychological mechanism. We demonstrate that expressing an attribute such as fuel economy in terms of multiple translations can increase preference for the option that is better aligned with objectives congruent with this attribute (e.g., the more fuel-efficient car for those with proenvironmental attitudes), even when the new information is derivable from other known attributes. We discuss how using translated attributes appropriately can help align a person's choices with their personal objectives. © 2017 Review score information can be presented in different formats. In three online experiments, we examined consumers' behavior in the context of review scores presented in a disaggregated format (individual review scores observed sequentially and individually), an aggregated format (review scores summarized into a frequency distribution chart), or both together. Participants tended to attribute outlier review scores to reviewer rather than product reasons. This tendency was more prevalent when reviews were presented in disaggregated format. Moreover, reviews attributed to reviewer reasons tended to be perceived with low credibility. When presented with a choice between two products with equal average review scores but different variances, participants chose as if outlier review scores were discounted when scores were presented in the disaggregated format. This tendency emerged even when disaggregated and aggregated formats were presented together. The number of review scores moderated the effect of format on choice. We argue that disaggregated information allows consumers to better track the number of outliers and, when the number of outliers is small, prompts them to attribute these outliers to reviewer reasons, and subsequently discount them. © 2017, © Emerald Publishing Limited. Purpose: The purpose of this research was to create a brief scale to measure perceived social benefit that would be appropriate for use in future research aiming to explore the role of this variable in determining word-of-mouth (WOM) behaviour. There is evidence that perceived social risk negatively impacts the willingness to share, but the role of perceived social benefit has not yet been explored. Understanding how perceived social risk and benefit interact to determine WOM will inform social marketing campaign design. Design/methodology/approach: This paper outlines two studies: Study 1 was concerned with the development of the perceived social benefit of sharing scale (PSBSS), including the construction of preliminary items and the reliability and discriminant validity of the final scale. Study 2 involved an investigation of the concurrent validity of the PSBSS in relation to the likelihood to share. Findings: Study 1 demonstrated that the perceived social benefit associated with WOM was related to social approval, impression management and social bonding. The results of Study 2 established that scores on the PSBSS predicted self-reported likelihood to engage in both face-to-face WOM and electronic WOM. Originality/value: The PSBSS can be used to examine the role of perceived social benefit, including how the interaction between perceived social risk and benefit determines where, when and with whom people will share WOM. Camilleri, AR & Newell, BR 2009, 'The role of representation in experience-based choice', JUDGMENT AND DECISION MAKING, vol. 4, no. 7, pp. 518-529.